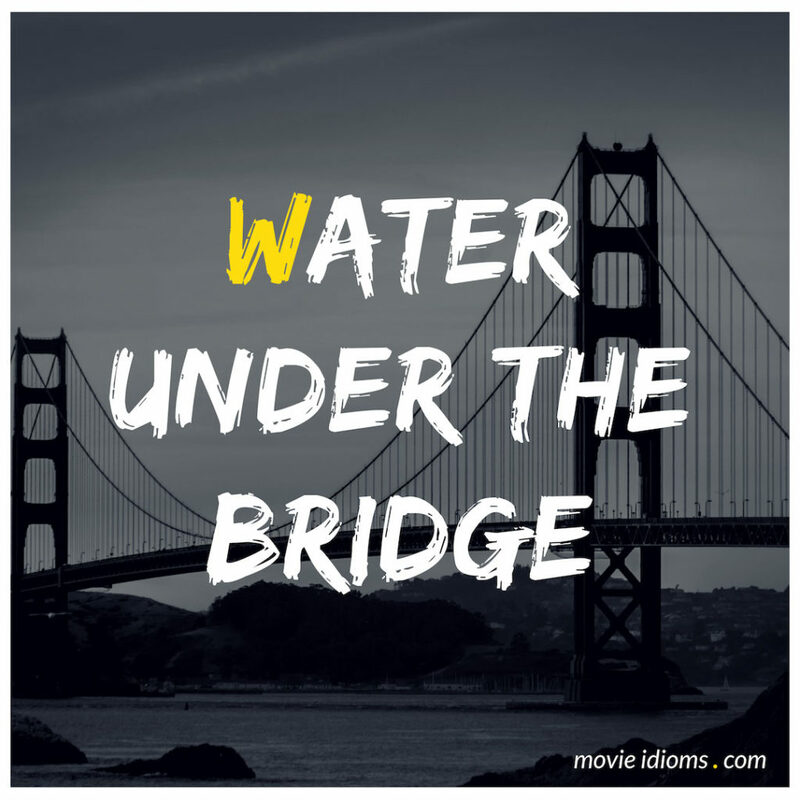 What does water under the bridge mean? Marissa: Oh nothing much. I was kind of hoping we might get to do those thank you notes tomorrow night. Frank: Oh honey, I’ve got Mitch’s thing tomorrow night. Marissa: Oh that’s right. I totally forgot. Frank: But I can skip it. Marissa: Oh, no. No, don’t be silly. I mean, I wouldn’t want you changing your whole life just for me. But you know what, I’ll give Laura a call and we’ll plan a girl’s night. It’ll be fun. Frank: Thanks. You’re the best. Marissa: Just as long as you promise to take it easy, you know. Marissa: You know exactly what I mean. You’ve come a long way since Frank the Tank and we don’t want him coming back now, do we? Frank: Honey, Frank the Tank is not coming back, okay? That part of me is over. It’s water under the bridge. I promise. Mike Ross: You tried to blackmail me with a fake drug test. Louis Litt: Yeah, but it didn’t work. You defeated me. Louis Litt: So it’s water under the bridge. Mike Ross: No, no no, not water under the bridge. Louis, you can’t do that to people and expect them to forget about it and move on. The Dude: And you know he’s got emotional problems, man. Walter Sobchak: You mean, beyond pacifism? The Dude: He’s fragile. He’s very fragile. Walter Sobchak: I did not know that. Well, it’s all water under the bridge. And we do enter the next round robin. Am I wrong?